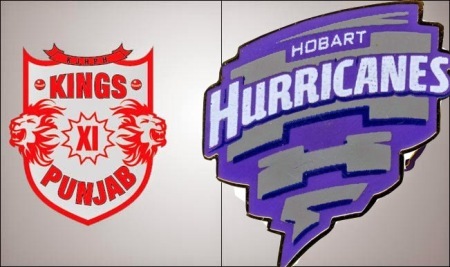 Mohali: After their best-ever show at IPL 7, Kings XI Punjab will look to continue their aggressive brand of cricket when they start their campaign against Hobart Hurricanes in a Group B match of the Champions League Twenty20 here on Wednesday. Riding on their power-packed batting line-up, Kings XI took IPL 7 by storm before finishing runners-up and George Bailey's men will look to continue their dominating show in their CLT20 debut. Kings XI depends on Australian players with the likes of Bailey, Glenn Maxwell and Mitchell Johnson forming the core of the team. Coached by former India player Sanjay Banger, the Punjab team has some explosive batsmen such as Virender Sehwag, David Miller, besides Indian players Wriddhiman Saha, Manan Vora and Rishi Dhawan. However, Punjab's bowling unit seems to lack teeth as there is still uncertainty over the participation of strike bowler Johnson, who is yet to get a clearance from Cricket Australia. Apart from Johnson, Kings XI have some good bowlers in Akshar Patel, Lakshmipathy Balaji and Sri Lanka's Thisara Perera who, in the possible absence of Johnson, will have to step up their performance at the Punjab Cricket Association Stadium. Talking about Johnson, who picked up 17 wickets in 14 matches in IPL 7, Bangar said: "We are still waiting for his clearance. Whether he is available or not, we still have a group of individuals who are capable of executing the role that is being given to them. "It will be good if he is available, but we are ready to cope with the eventuality of his non-availablity," he added. Hobart Hurricanes, a team from Australia, on the other hand, are banking on their IPL players to do well in the Champions League T20. "It is our first time here as a club and as a team, to be on the world stage and championship like this is wonderful for everybody," Hurricanes coach Damien Wright said.